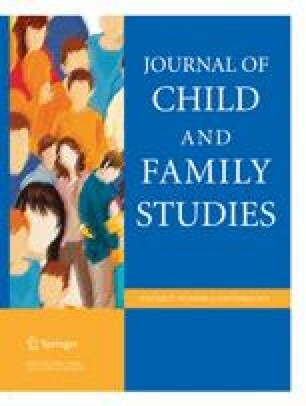 The goal of this study was to explore longitudinal associations among child shyness, harsh maternal and paternal parenting styles, and close teacher-child relationships in the cultural context of contemporary urban China. Participants were N = 1,154 third through seventh-grade students (566 boys, 588 girls; Mage = 10.78 years, SD = 1.55), recruited from schools in Shanghai, P. R. China. Data were collected at two time-periods over a one-year period using multi-source assessments. Children provided self-reports of shyness, mothers and fathers rated their own harsh parenting, and teachers assessed teacher-child relationships. Among the results, shyness predicted increased incremental change in harsh parenting (for both mothers and fathers) and incremental decrease in close teacher-child relationships one year later. Results are discussed in terms of the evolving meaning and implications of child shyness in contemporary Chinese culture. The online version of this article ( https://doi.org/10.1007/s10826-018-1229-7) contains supplementary material, which is available to authorized users. JL: designed and executed the study, performed data analyses, and wrote the first draft of the manuscript. BX: assisted with data analyses and writing the manuscript. RJC: collaborated in study design and writing/editing of the final manuscript. XC: collaborated in study design and editing of the final manuscript. DL: collaborated in study design assisted with editing of manuscript. This research was supported by the Peak Discipline Construction Project of Education at East China Normal University and the Ministry of Education of Humanities and Social Science Project (18YJA190009). We are grateful to the children and teachers for their participation. All procedures performed in studies involving human participants were in accordance with the ethical standards of the institutional and/or national research committee and with the 1964 Helsinki declaration and its later amendments or comparable ethical standards. Shanghai Normal University provided IRB approval for the current study.